I’ve been in the entertainment industry for 6 years . I went to school for radio & Television which led me to being a TV host for Smash the mic and a radio host for 89.7KACC. Ive Featured in many artist videos but my most highlighted are my music videos for Devin the dude, Slim thug & Bun B , I interviewed lots of artist. my favorite was a Trey Songz & Mario interview I did for a Vic the mayor event. 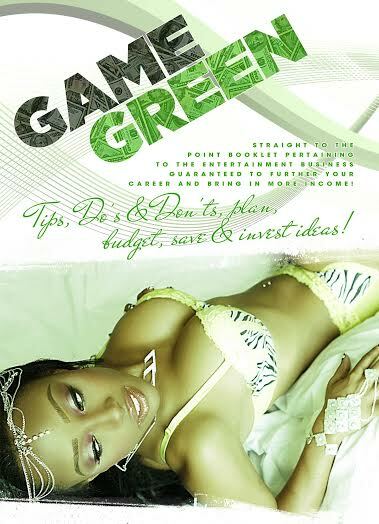 Now at 22 I created my own company as a Model/Business Consultant (MC: where I help models, build there resume, portfolio and get products together BC: I help business owners create and develop their business by helping with stuff like creating package pricing & getting their company trademarked & copyrights ) I also wrote a Hustle Manual book called "Game Green" that cover Business Communication , How to budget , save & invest into your own business/brand. Everything that ive done had me featured on lots of websites, blogs & magazines like XXL , (Adult) Quest Magazine,Soletron.com, GGurls.com Worldstarlatin.com etc..